The Friday Night Club. | Come Here To Me! « Upcoming exhibition on the history of firefighting in Dublin. 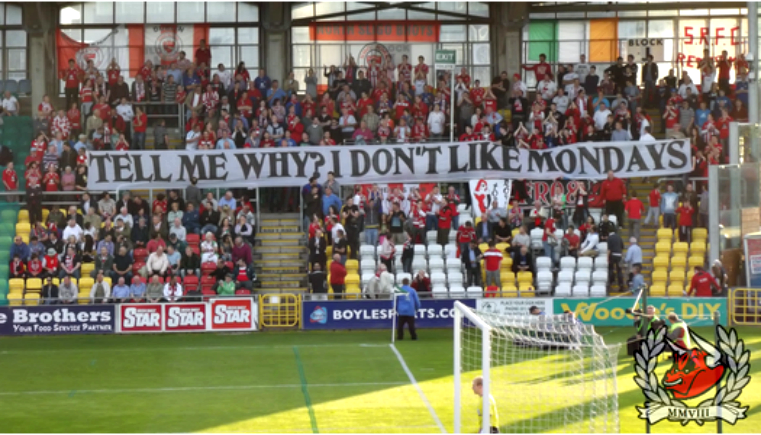 Great protest banners appeared earlier on tonight at the clash of the Rovers when Sligo Rovers and Shamrock Rovers met in Tallaght Stadium. The game was shown live on Setanta Sports, and moved to Monday to facilitate that. The moving of the clash annoyed fans of both clubs enough to make a clear point on the night. Such vocal statements from supporters are becoming more and more common in the league in recent times and in my eyes that can only be a good thing. 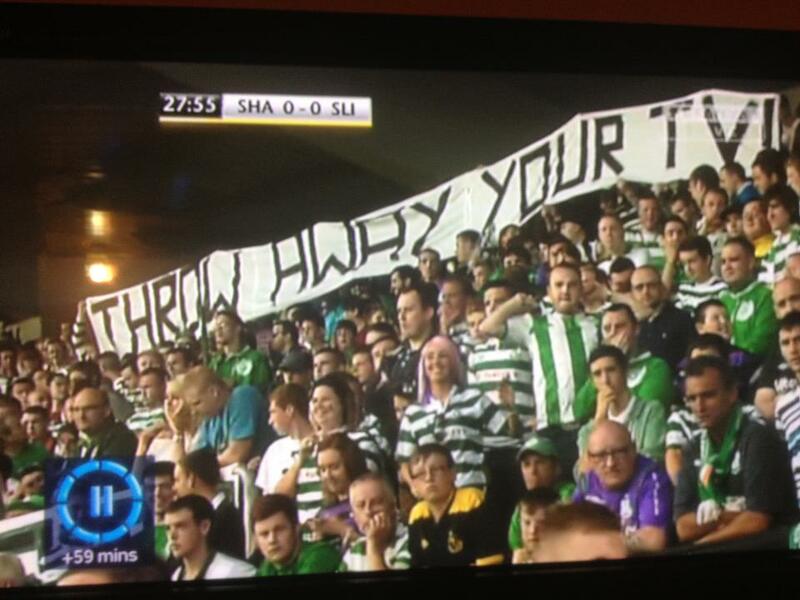 Shamrock Rovers fans protest banner.